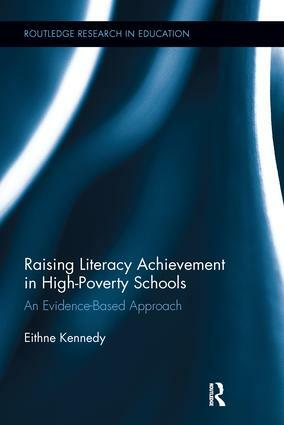 This book shares lessons gleaned from a two-year intervention in a high-poverty school, which was highly successful in significantly narrowing the literacy achievement gap and in raising children’s motivation and engagement in literacy both inside and outside school. Kennedy argues that there is much that disadvantaged schools can do to close the gap, but this is more likely to occur when a research-based approach to instruction (with a dual emphasis on cognitive skills and motivation and engagement), assessment and professional development is undertaken. Eithne Kennedy is a teacher educator specialising in literacy education at St. Patrick’s College, Drumcondra, Dublin, where she teaches on a range of literacy courses at under-graduate and post-graduate levels.